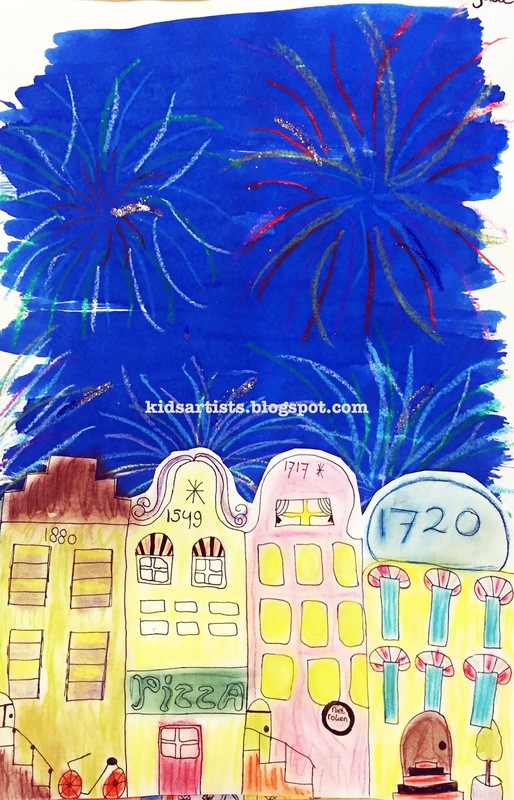 Kids Artists: Happy new year! A site with school-tested lessons for the Arts. 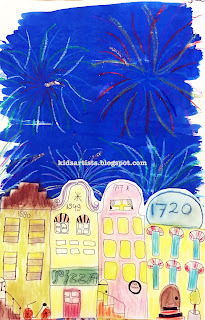 Draw some Dutch canal houses and color them with water color paint. 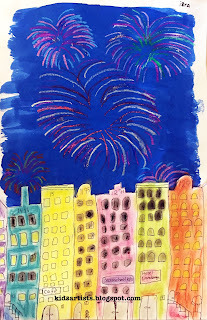 Use crayons to draw fireworks. Then paint the sky dark blue with liquid water color leaving the edges white.